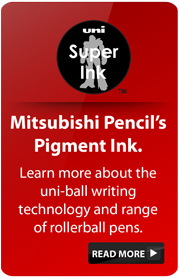 Mitsubishi Pencil has distributed products made out of recycled materials since 1992. 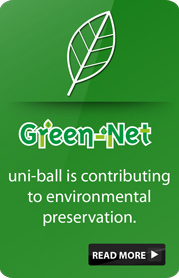 The Company is maintaining its efforts to increase the number of its “Green-Net” eco-products. Aiming to make efficient use of natural resources and minimize environmental impact, we are developing more products that use recycled materials and feature safe disposal, long use, and simplified packaging. 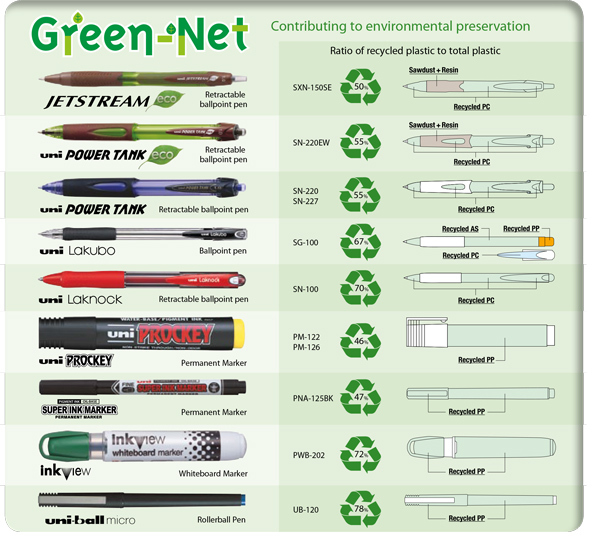 As a responsible manufacturer, we will continue to develop and distribute products that reduce environmental impact.